Here, in Arizona, the weather had FINALLY begun to cool down! (Meaning under 100!) As I sit here with my apple cinnamon candle burning, I couldn't help but to share my Fall Writing Prompts! 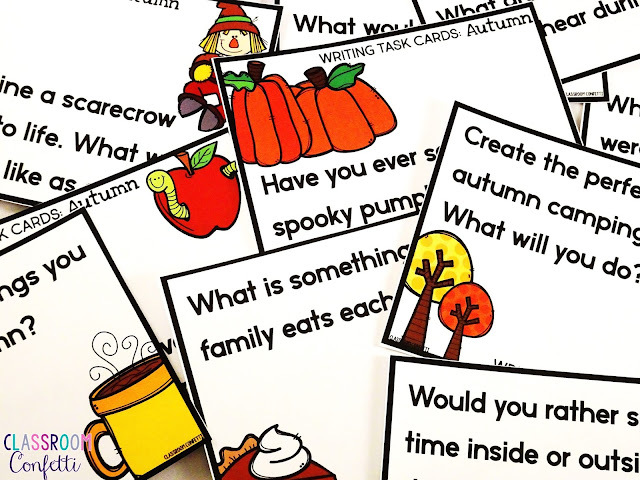 With over 90 fall themed prompts, the ideas are endless! How do I use them? 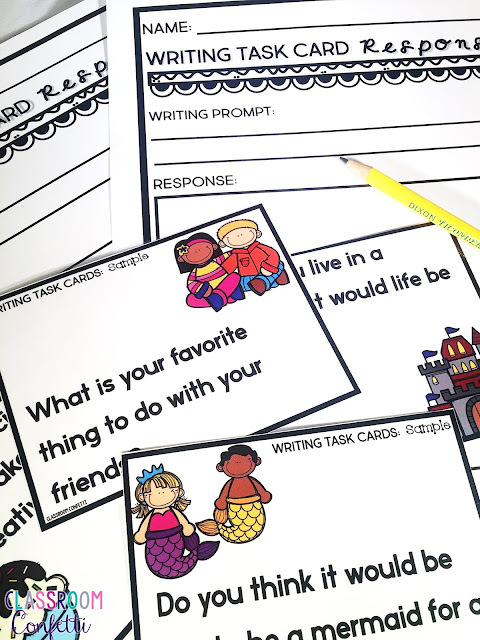 There a variety of ways to use writing task cards. My favorite is to grab a few and put them at the writing center. I usually have them optional in case students are stuck with what to write about. With over 90 different prompts, my firsties are never at a loss! FREE writing response sheets can be found by clicking here! Some other ideas include: daily writing prompt, morning work, early finishers, conversation starters, and many more! I would love to hear your ideas! 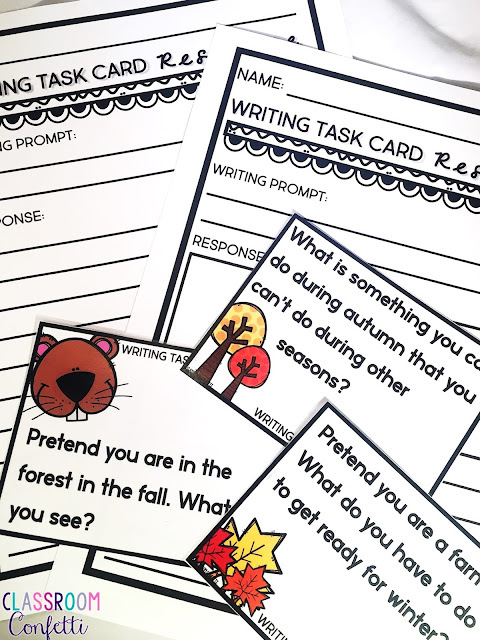 You can find Fall Writing Task Cards by clicking the pictures or by clicking here! 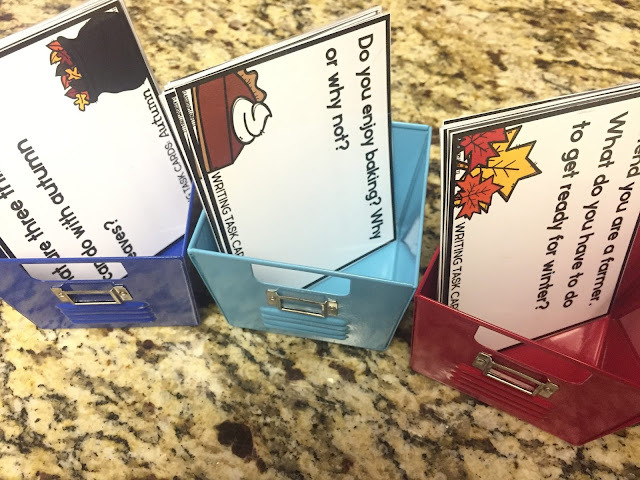 Want to test out Writing Task Cards for FREE? Grab the freebie by clicking below or by clicking here! I hope you are all enjoying the beginning of Fall! Here you have shared the sample of fall writing prompts which is really interesting for all of us. Some very interesting tips which help to make the whole process easy. I found the name of this site from https://www.topreviewstars.com/dissertation-writing-service/ and i felt this is really impressive source of link. Thanks for this approach. © 2015 Classroom Confetti. Felicity Template customized by A Bird in Hand Designs All rights reserved.